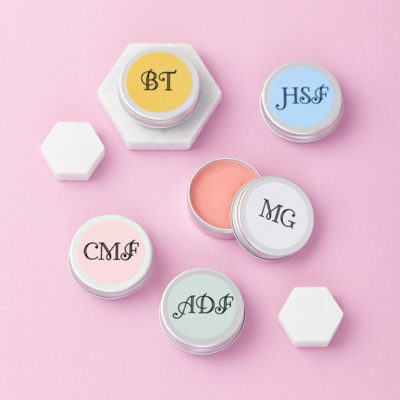 Give someone a truly special gift with one of our unique personalised lip balms. 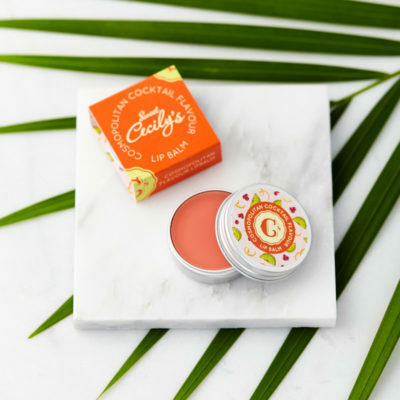 All of our natural lip balms are handmade using the finest natural ingredients. 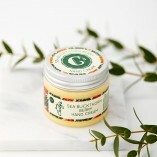 Fairtrade organic shea butter, along with cocoa butter, almond oil and calendula oil are all combined to create a truly nourishing balm. 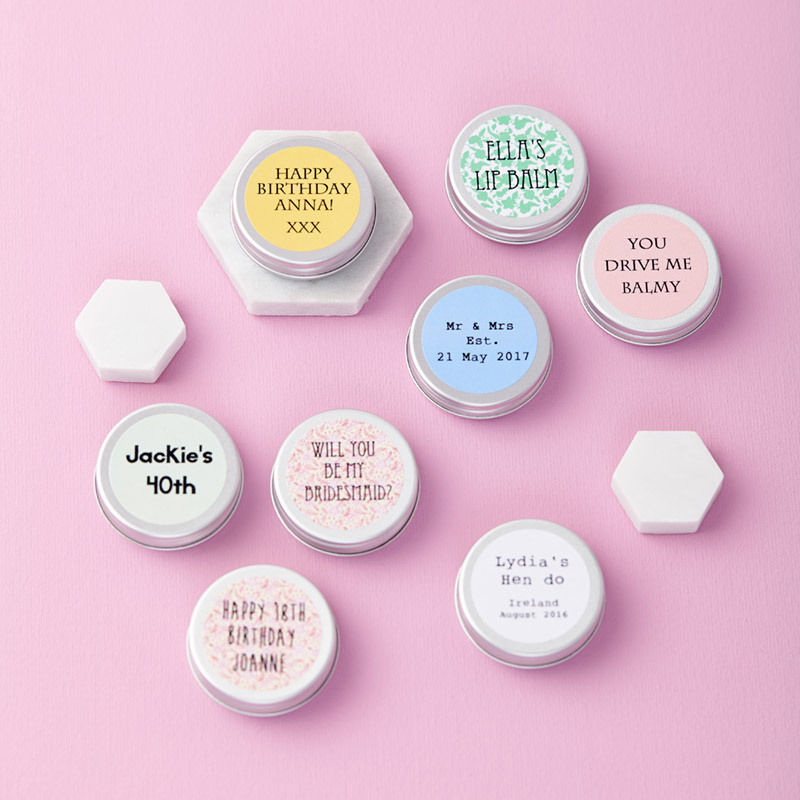 These unique gifts can be used for all sorts of events or occasions, such as wedding favours, hen night treats, corporate gifts, thank you presents and much more! We offer some quirky flavours, choose from, Prosecco & Peach Cocktail, Strawberries & Cream, Banoffee, Earl Grey, Mojito, Pina Colada, or our newest addition, Gin & Tonic. Alternatively, just select 'Mixture' and we will supply a combination of all the flavours. If you would like any specific split of the Mixture, please include a note in your order specifying how many of each flavour you would like. Next, select which background you would like and add your chosen text, making sure to choose which font you would like. Please note that some of the fonts will only print in capital letters, this is indicated when you select which font you would like. Personalisation text is limited to 35 characters (this includes spaces). We will then layout your text on the lip balm label in the best way to fit it all on. Please take special care when entering your personalised text, once you have submitted your order we will automatically produce your labels from the information you have given us. Fantastic all round experience! 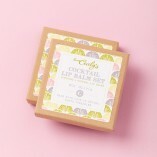 I needed help with a design and needed the lip balms as soon as possible, the design (which was excellent) and delivery was done within the hour! Will definitely be returning!! Thank You Cecily! Bought two of these as gifts for my friends and they were amazing! They loved them and I loved them. It’s such a good product and it’s nice that it’s personalised. The personalisation just makes them even better and takes the product to a whole new level. Very good! 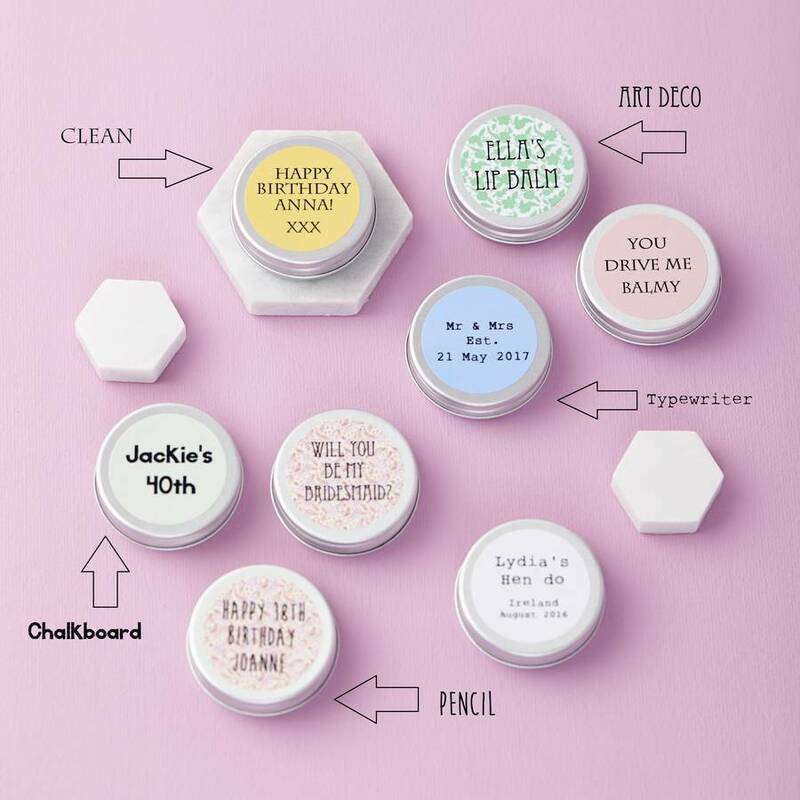 Bought a set of lip balms personalised with a photo and text for a hen do. They were a perfect surprise that went down really well. The personalisation was easily and looked great and professional. Fairly priced and delivered safely and on time. Recommend getting the mix of fun flavours! I ordered several of these as gifts these for friends with their children’s names on (eg “Benedict’s Mummy’s Lip Balm”) and the recipients all loved them. 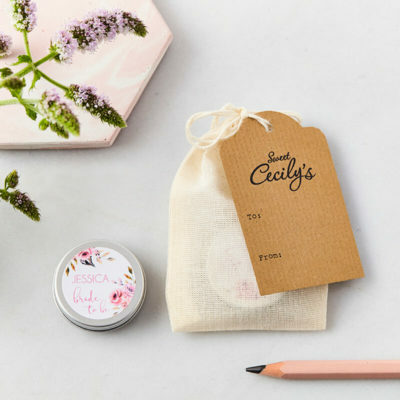 Be aware that the lip balms are small but they arive quickly, are nicely made and you can’t beat the personal touch in a present.